Jackson County is situated in one of the most beautiful areas of the country. The Blue Ridge Parkway, abundant lakes and streams, national forests and temperate summer climate make it one of biggest second home and affluent communities in the country. Yet within those same borders there exists a shadow community with a 22% poverty rate that doesn't begin to tell the story. The southern half of the county, which includes the Cashiers area, doesn't have the public infrastructure and safety net for the less fortunate that even the northern part of the county has. And, neither has the infrastructure of a larger city. Because of this, there exists a number of specialized charitable organizations that try to fill that gap. Although some, like the Free Dental Clinic and the Fishes & Loaves Food Pantry, are larger and better known, most are smaller organizations, yet just as worthy of our support. Since its inception in 2008, Cashiers Cares has raised over $175,000 benefitting the residents of our community. In 2008, the Cashiers United Methodist Church, St. Jude Catholic Church, the Church of the Good Shepherd Episcopal Church and Christ Church of the Valley got together to provide the seed money to form a fund raising group to support needy charitable organizations in the area. The Cashiers Methodist Church, St. Jude and Church of the Good Shepherd still provide the operational funds each year for our all-volunteer organization so that 100% of the contributions made by our contributors are directly passed on to our supported charities. Cashiers Cares is a community based organization raising funds and awareness for select charitable organizations both large and small serving the residents of the Cashiers and southern Jackson County area. Because of financial support from the Church of the Good Shepherd, the Cashiers United Methodist Church and the St. Jude Catholic Church, 100% of your donation goes directly to the charities of your choice. We facilitate communication and cooperation between the organizations in ways that multiplies the value of the services they individually provide to their constituents charitable organizations both large and small who are serving the residents of the Cashiers and southern Jackson County area. This year's events include the Christmas Parade Lunch on December 9 and our Annual Awards Event celebrating donors and recipients. Our current roster of ten charitable organizations provide free dental and medical services, food and emergency financial help for families, safe havens from domestic and sexual violence, transitional help for women, literacy and tutoring programs for children and adults, advocacy for children suffering from sexual and physical abuse, and help for children in need of a mentor. The agencies you see below are visited regularly, providing us the opportunity to review their accomplishments, observe their operations and learn of their plans and hopes for the future. With the Rotary Club of Cashiers Valley, we also provide a free Christmas lunch at the Cashiers Community Center following the annual Cashiers Christmas parade. 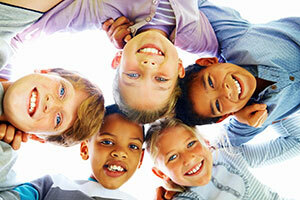 Facilitates and coordinates programs that intervene and protect children who are victims of abuse in Jackson County. Helps children reach their potential through professionally supported, one-on-one relationships with volunteer mentors. Delivers critical preventative and restorative dental care to low income residents who cannot otherwise afford it. The clinic also helps some patients obtain crowns or dentures. Helps women facing serious life challenges, including release from incarceration, finding transitional housing and employment to support their goals for starting life anew. Community Care Clinic is a free medical clinic open two days a week that assists people in need with basic health care, especially for diabetes and hypertension. Helps alleviate hunger, providing free food to people in the area who fall below the poverty line based on family size and monthly income. Offers palliative care and emotional, social and spiritual support for patients and their families in end-of-life scenarios. Supports and promotes literacy from birth through adulthood. The council offers books to emerging readers and tutoring in reading and math. Provides support, respect and shelter for victims of domestic violence. It also aids in prevention through education, advocacy, and appropriate intervention. Ministers to the needs of residents in thimes of emergence by providing food, household supplies, and personal items for all ages. They also assist with the cost of utilities and rent. Please Donate to Cashiers Cares! To further benefit the opportunities for our current programs and the expansion of new programs, we are asking that you please consider making a donation to Cashiers Cares.